A man is dead and his two young children are intensive care at Harborview Medical Center after a two-car collision Friday afternoon on Pacific Highway South in Federal Way, according to Federal Way Police. Police said Saturday that the children – a 2-year-old boy and 8-month-old girl – are in satisfactory condition. The mother, who was also in the car, sustained non-life-threatening injuries in the crash. The 20-year-old man and his family were traveling in a white Cadillac when they were t-boned by a red pickup truck. The driver of the truck did not suffer serious injuries. The man driving the Cadillac was reportedly driving recklessly when he lost control and veered into oncoming traffic. An injured child can bring an injury claim against a parent for injuries suffered in an auto accident caused by the parent’s negligence. What’s important to remember is that the claim is really against the parent’s auto insurance policy, not the parent themselves. 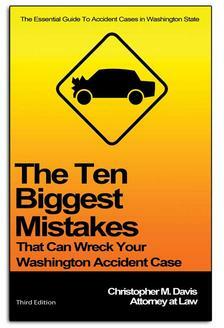 If the at-fault parent has auto liability insurance, plus any other type of insurance (Personal Injury Protection, etc. ), that covers the passengers in the vehicle. It doesn’t matter if the passenger is a family member or a stranger. 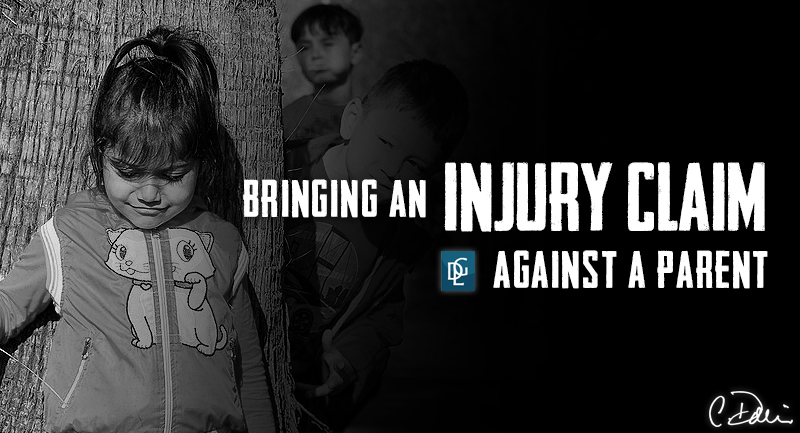 If the injured child is under 18, a “next friend” can be appointed to act as the child’s representative during the case. This “next friend” can be the other parent or some other person who can look after the child’s interests. If you or someone you love has been injured due to the negligence of another driver or responsible party, we highly recommend contacting the car accident lawyers at Davis Law Group, P.S. Our legal staff and team of experienced personal injury attorneys can help you understand your rights as an accident victim. We understand the intricacies of Washington State’s personal injury statues and we recognize the personal hardship involved following serious or fatal traffic wrecks. As skilled legal professionals, we prepare each of our cases with the intent of going to trial. Although not every personal injury lawsuit goes before a judge, extensive preparation can make the difference between a long and involved trial and a much more expeditious out-of-court settlement. The lawyers at Davis Law Group have experience working with insurance carriers to ensure that past and present, as well as future medical expenses will be covered for those victims who have been seriously injured in a car accident. Contact us today for a free, no-obligation case evaluation. Call (206) 727-4000, use the chat feature below or fill out the form on this page to get started.